If you are in the market for a new roof and you live in Trenton, Michigan, Downriver Roofers has just what the doctor ordered. We are a full-service licensed roofing contractor serving customers throughout the Downriver, MI area. We specialize in assessing commercial and residential roofs, and provide free interior and exterior inspections. 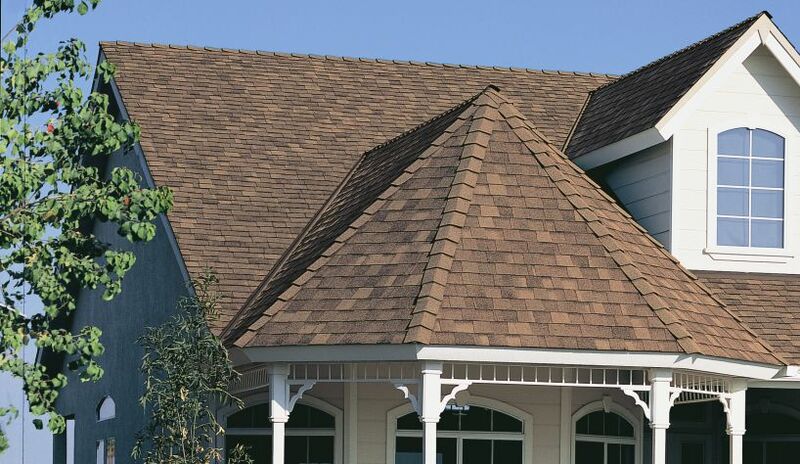 If it is determined a new roof is needed, we offer a variety of styles and payment options for you to choose from. Our highly skilled roofing professionals have been in the business for more than 20 years, installing all sorts of roofs onto homes and businesses in Michigan. We use only GAF and CertainTeed industry approved materials and products, all coming with a 100% satisfaction or money back guarantee, no-leak promise, and lifetime warrantee. Our labor and workmanship is second to none, which is why we are continually voted #1 in Performance, Quality, and Customer Service by our new and loyal customers. Downriver Roofers are the experts at performing tear-offs, re-roofing, roofing maintenance, roofing inspections, roofing repairs, roof ventilation and upgrades, protective roof coating applications, and new roof installation. We can efficiently identify loose and missing shingles, poor ventilation, holes, leaks, and other forms of hail damage, water damage, snow damage, ice damage, and wind damage. No other roofing contractor offers the high quality services we do, just check out our website at https://downriverroofers.com/ and soon you’ll find out why. Our business owner is always on site, ready to assist and answer any questions you have regarding your commercial or residential roofing project in Trenton, Michigan. We are known as a roofing company that pays attention to all the little details, making sure our customers are happy and satisfied. Much of our business comes from customer referrals and word of mouth recommendations, a fact we are very proud of. If you’ve been impacted by a flood, fire, or snowstorm, and need emergency roofing repairs or maintenance, our expert roofing team is on call 24/7, year round. We are also very experienced at filling our insurance claims paperwork, providing the proper documentation and photos needed to expedite your reimbursement check. When we arrive at your home or business in Trenton, Michigan, we examine every inch of your roof including your gutters and attic area. We pride ourselves on offering the best roof inspections you can find, and they are totally free. We also offer winterization services including roof shoveling and roof ice dam removal. Call us today to schedule your complimentary roof evaluation. We can also be found on Facebook and Twitter…we look forward to you joining the Downriver Roofers family! Now that spring is upon us, it is the perfect time to consider having your roof replaced. If your roof showed signs of aging this winter, you may want to consider having your roof replaced now as spring provides mild enough weather to facilitate easy installation. Additionally, by having your roof replaced before summer arrives you can help keep your house cooler, and lower your energy bills, during the hot months to come. Yet, once you decide to have your roof replaced, how will you know which roofing company to work with? As you begin to consider your options, here is an overview of a few things you should look for in a Trenton Michigan roofing contractor. If you are unsure where to start looking for an experienced roofing contractor, you should consider looking at roofing manufacturer’s websites to see which contractors in your area they recommend. Many roofing manufacturers such as GAF have a list of designated contractors who are factory-certified to install their roofs. Being manufacturer designated is an honor not many roofing companies receive as manufacturers withhold this distinction for the best contractors in the industry. Thusly, by choosing from a list of manufacturer designated contractors (such as GAF Master Elite Contractors) you will know you are partnering with a skilled, experienced roofer. As you narrow down your options in your search for a roofing company, you should consider meeting with multiple contractors in your area. Not only will this allow you to get multiple estimates to choose from, but also, meeting with contractors is the best way to get a feel for their experience and whether or not you would feel comfortable working with them. When meeting with roofing contractors, it is critical that you not be afraid to ask questions, as this is your chance to determine how knowledgeable a roofing contractor is. Make sure that the contractor is clear on what their plan would be for your roof, what materials they would use, and what their plan is for the job from start to finish. If a roofer does not seem to have an answer to these basic questions, or worse, they try to give you an estimate without inspecting your roof, then they likely do not have the knowledge and experience you are looking for in a roofing contractor. When looking at roofing contractors and getting estimates it is also important that you check for licensing and insurance. While most states require roofers to be licensed and insured, this does not stop some contractors from trying to install roofs without the proper credentials. However, choosing a contractor who is properly licensed and insured helps to ensure that they are qualified and that you are protected if any accidents happen on your property. Legitimate roofing contractors will not have a problem showing proof of their licensing and insurance. When you are getting estimates from roofing contractors, it is critical that you get everything in writing. Not only will having estimates and projected job details in writing help you to keep track of your options, but this will also allow you to prove the estimate they had originally offered if they try to change their estimate later on. Additionally, it is critical that you have a contract in writing signed by all parties before any work begins on your home; this should include projected costs, timelines, and any warranties. Having a written contract in critical when major construction is being done on your home in order to protect both you and the contractor. When having your roof replaced, it is critical that you take the time to find a qualified roofing contractor. Contact us to learn more about what you should look for in a local roofing company.